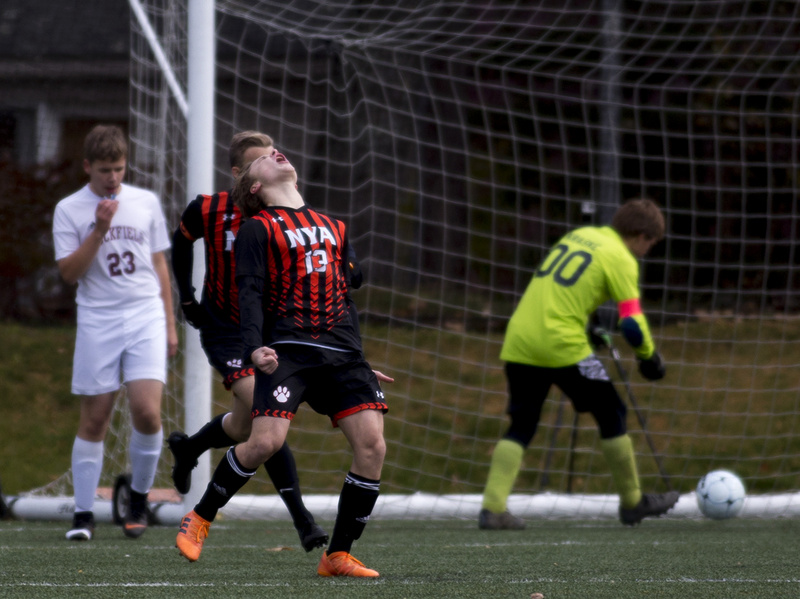 NYA's Chas Rohde celebrates the Panthers' first goal against Buckfield Thursday in the Class D South boys' soccer semifinal at Yarmouth. 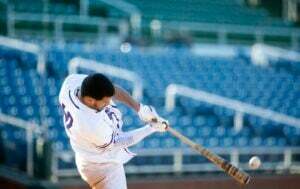 NYA won 7-0. 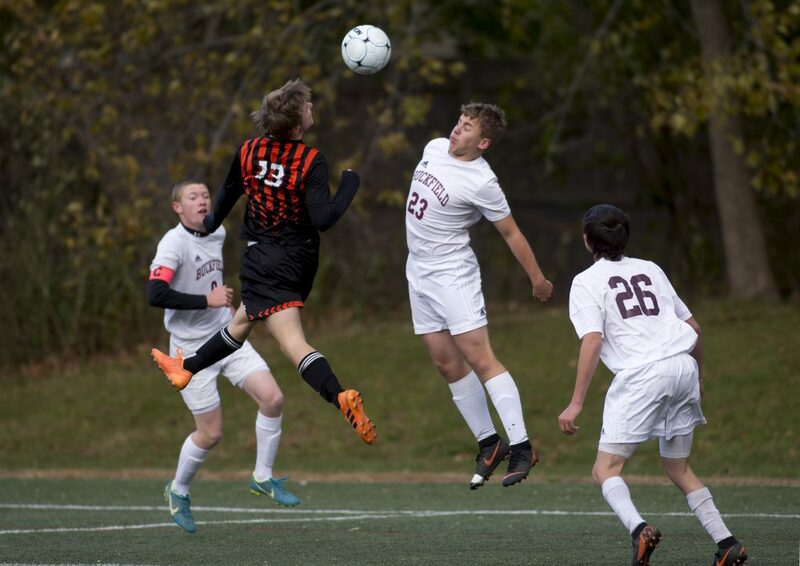 Buckfield's Victor Verrill passes the ball to a teammate before NYA's Cam Goodrich can reach him. 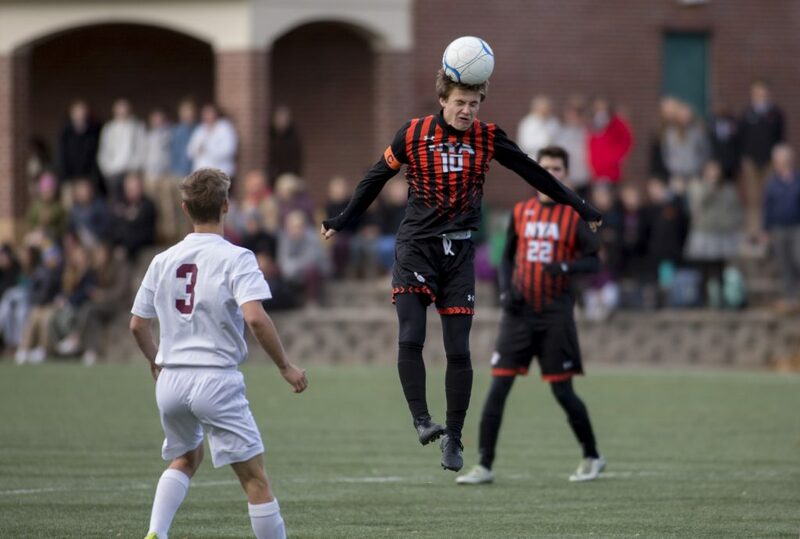 North Yarmouth Academy’s Xander Kostelnik heads the ball during Thursday's game. 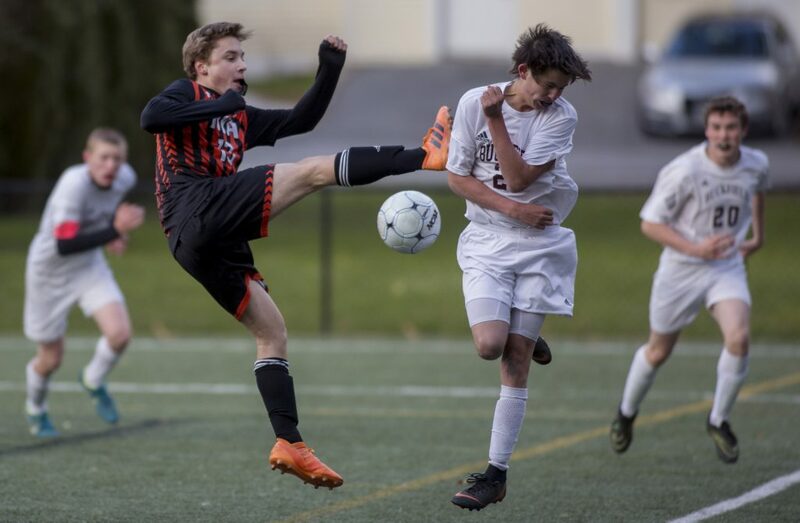 NYA's Chas Rohde, 13, and Buckfield's Abram Cormier go for a header. NYA's Chas Rohde kicks the ball in midair while a Buckfield player attempts to block it. 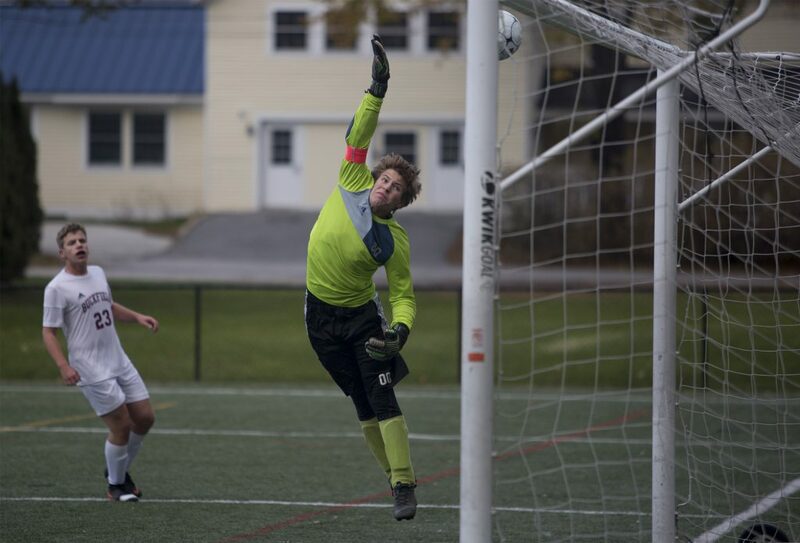 Buckfield goalie Richard Kraske leaps, but misses the ball as Alasdair Swett scores one of seven goals by North Yarmouth Academy. 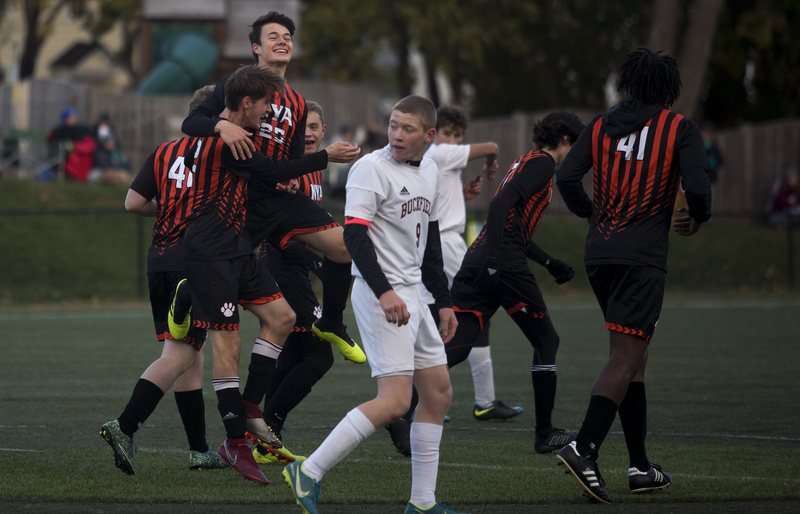 NYA's Pierce Manchester jumps up and hugs Reese Merritt while celebrating the Panthers' final goal Thursday.